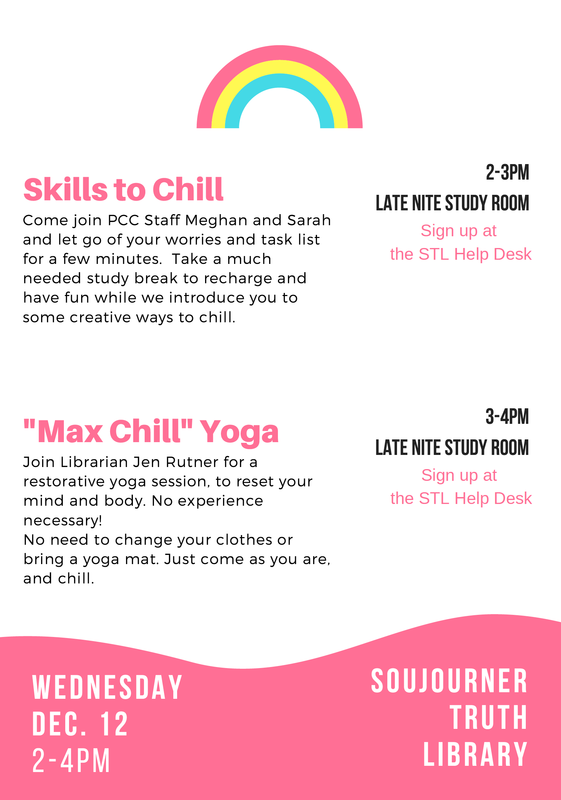 Come join PCC Staff Meghan and Sarah and let go of your worries and task list for a few minutes. 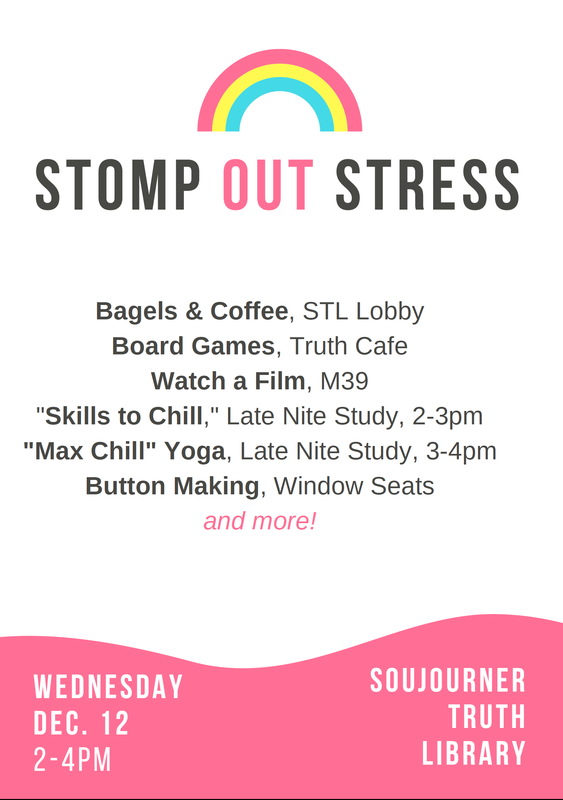 Take a much needed study break to recharge and have fun while we introduce you to some creative ways to chill. Join Librarian Jen Rutner for a restorative yoga session, to reset your mind and body. No experience necessary! No need to change your clothes or bring a yoga mat. Just come as you are, and chill.